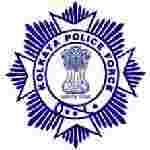 Kolkata Police recruitment 2017 notification has been released on official website www.kolkatapolice.gov.in for the recruitment of 25 (twenty five) vacancies for Civic Volunteers. Job seekers should apply on or before 26th December 2017. Interested and eligible aspirants should apply in prescribed application form along with self-attested photocopies of the relevant documents in evidence of your Age Proof, Address Proof, Academic Qualifications and Self-Attested copy of Driving License send to the Office of Deputy Commissioner of Police, Wireless Branch, Kolkata Police, 112 Ripon Street, Kolkata – 700016 on or before 26.12.2017.